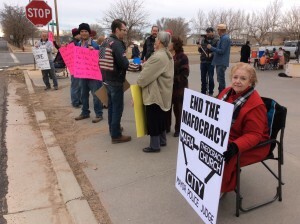 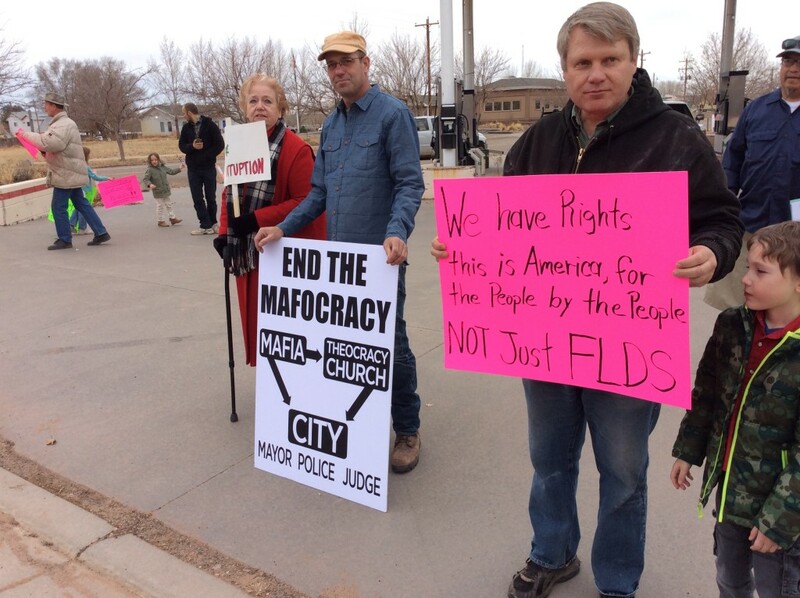 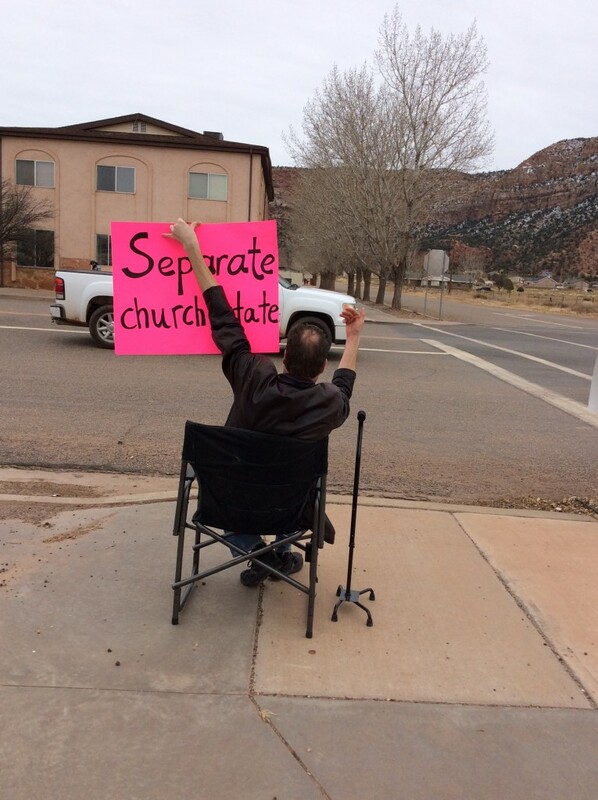 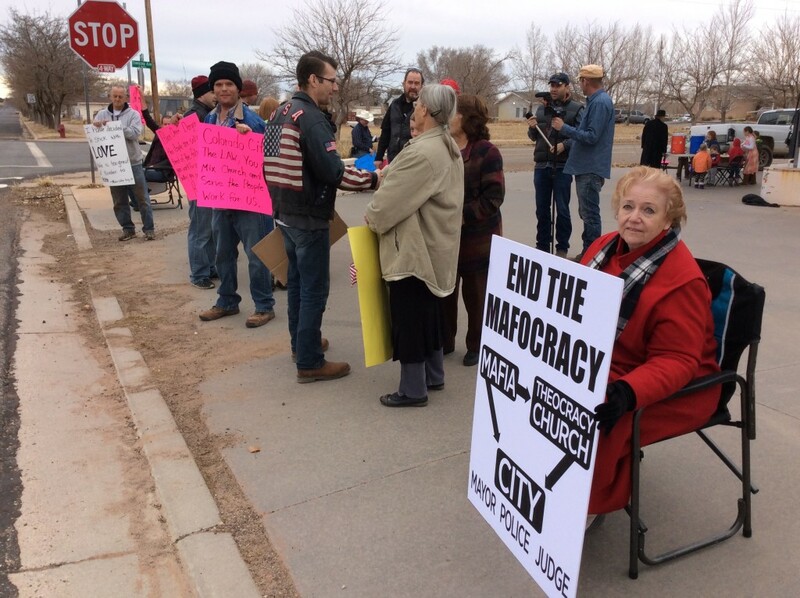 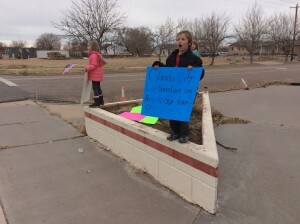 This is the second such demonstration community members have staged in Colorado City in an effort to bring attention to alleged corruption in the town and in neighboring Hildale, Utah – border communities that are reportedly run by the Fundamentalist Church of Jesus Christ of Latter Day Saints. 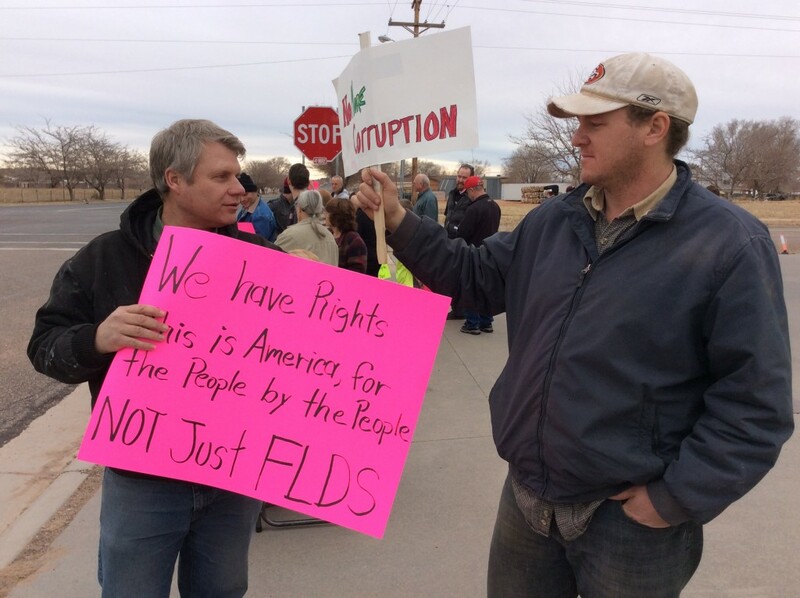 Jailed FLDS prophet Warren Jeffs, who is currently serving life plus 20 years in a Texas prison for sexually assaulting two underage girls, is said to still run the FLDS church from inside prison with his brother Lyle Jeffs managing church affairs on the outside. 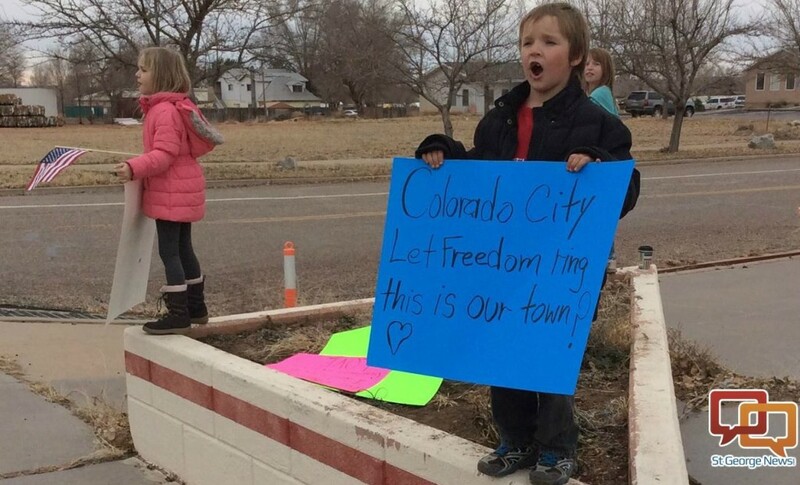 From the city management to local law enforcement, every facet of government in Colorado City and Hildale is reportedly under the control of the FLDS church – an allegation the towns continue to deny. 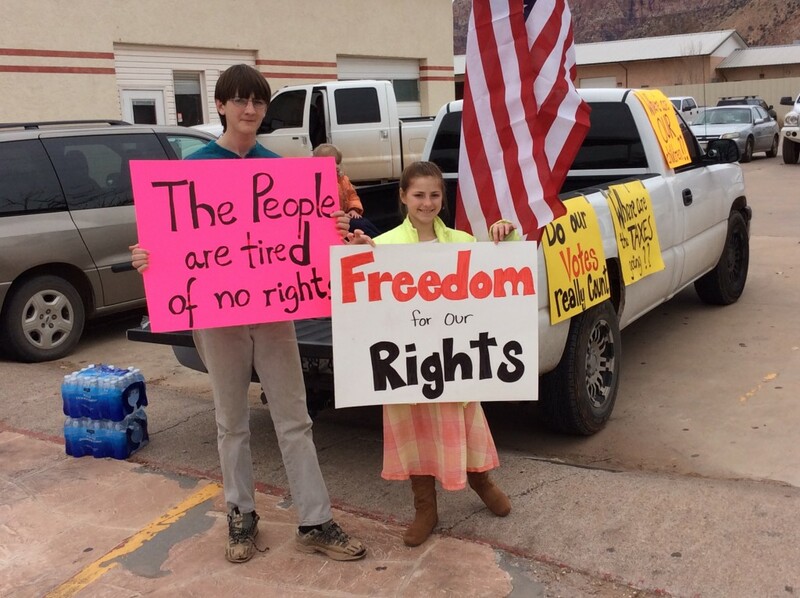 A federal civil rights trial got underway in Phoenix this week regarding allegations of discrimination perpetrated by the town governments against non-FLDS, non-polygamist residents. 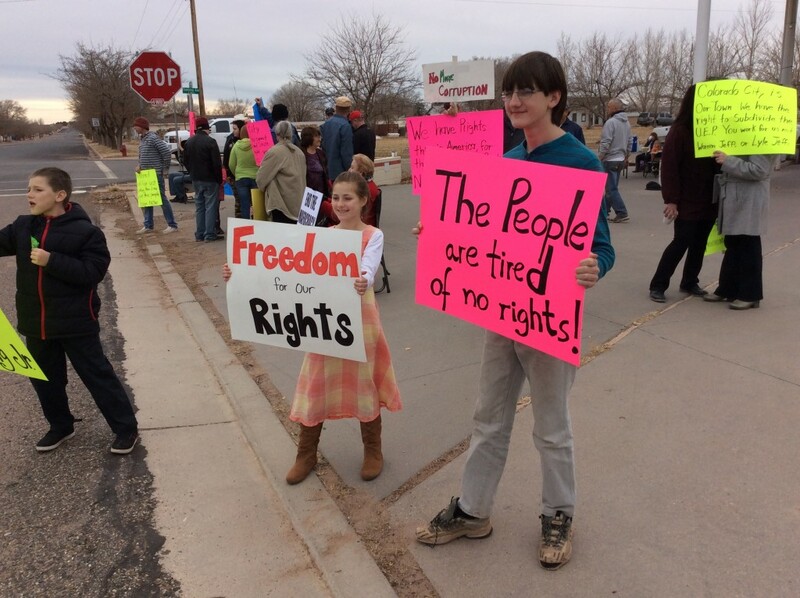 Non-FLDS and ex-FLDS residents say they have been subjected to discrimination, harassment, violence and even unfair arrest at the hands of the town marshals and other FLDS church members. 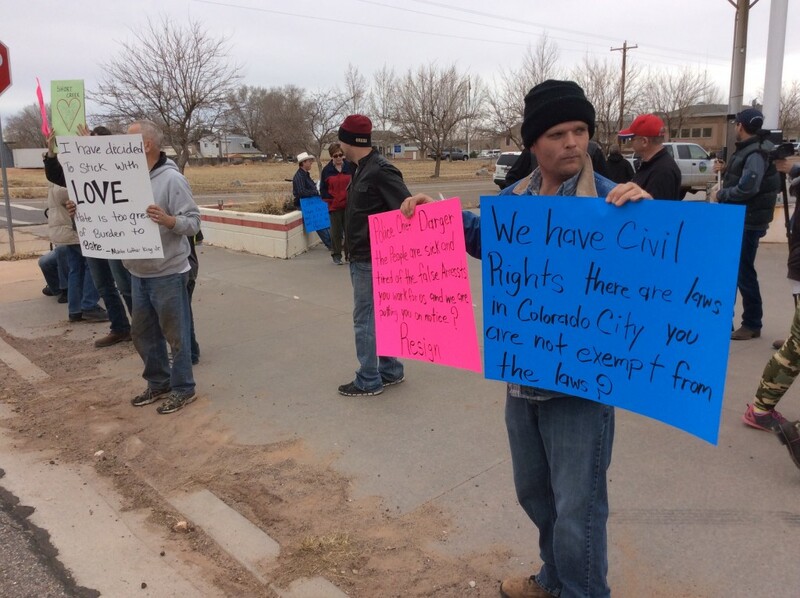 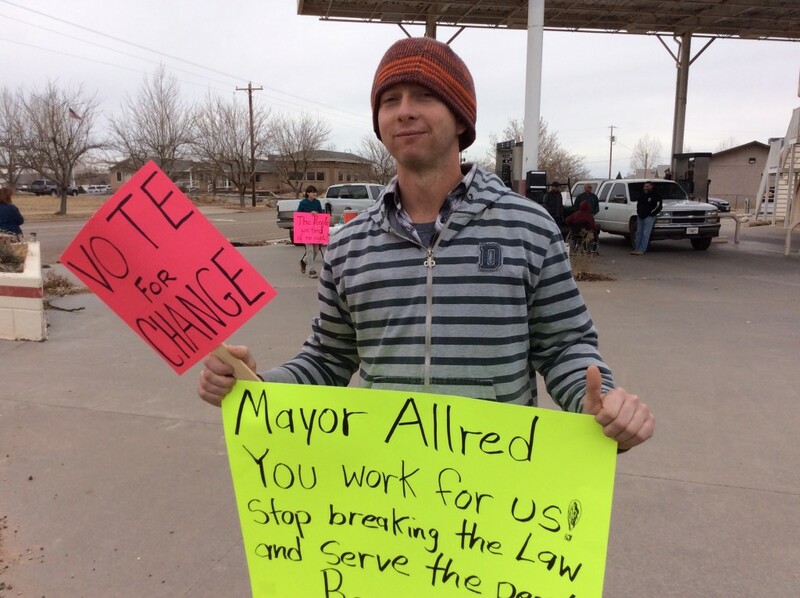 The peaceful rally was strategically organized to take place the week of Martin Luther King Jr. Day, said Musser, who is a former FLDS member. 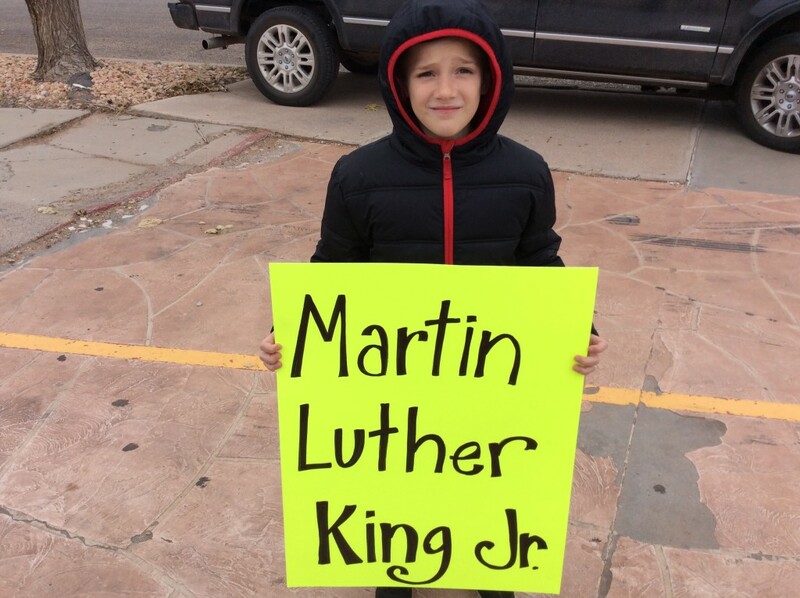 Protesters carried Martin Luther King signs and played music as community members continue the long-fought battle for civil rights in their own town. 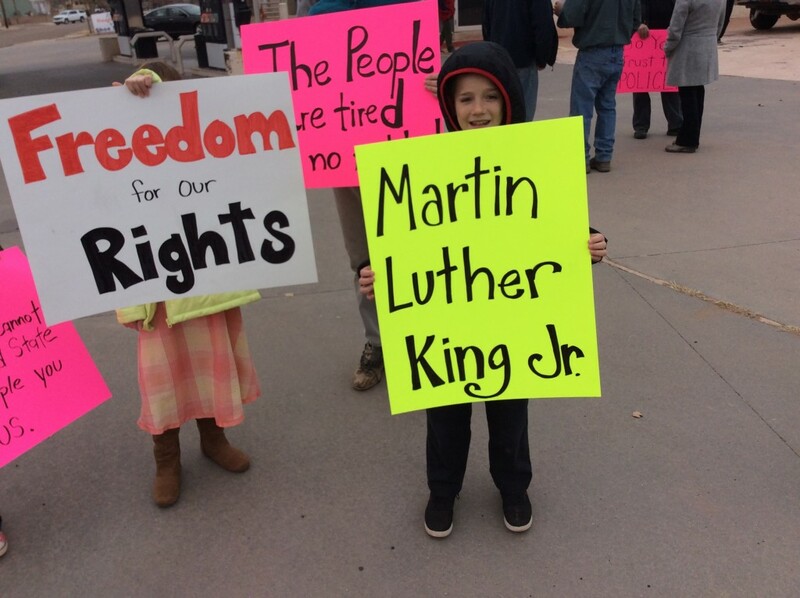 FLDS people are raised to be racist, Musser said, and they definitely are not taught to honor Martin Luther King. 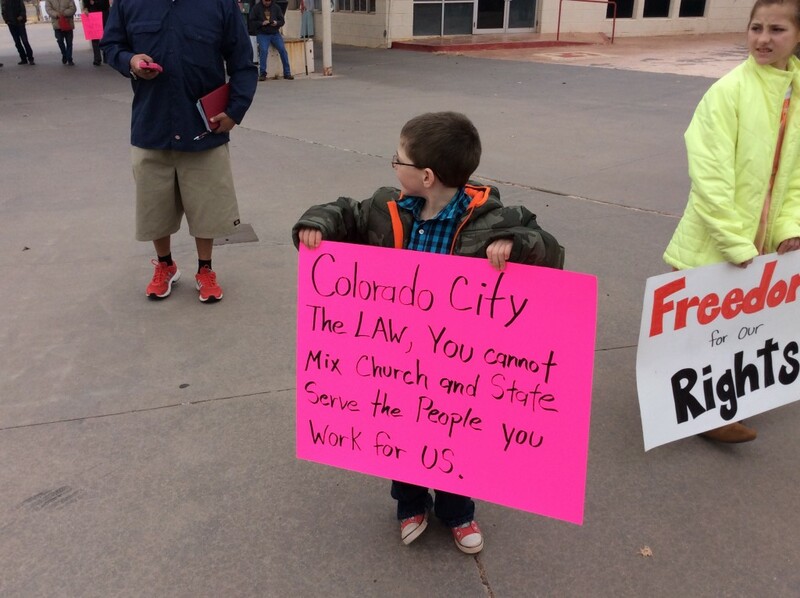 “We’re hoping that the trial in Phoenix will be successful and we can take our towns back so we can have some civil rights out here,” he added. 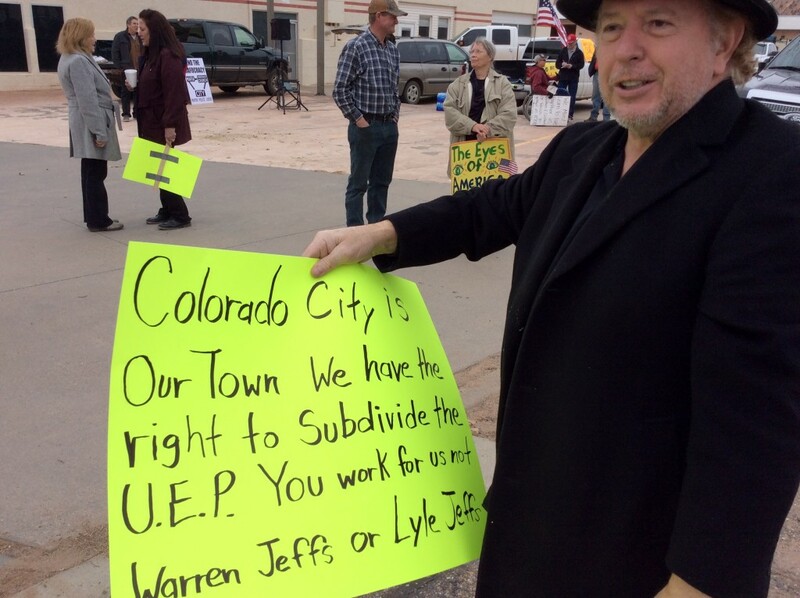 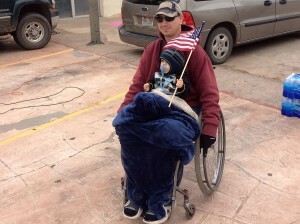 Colorado City resident and former FLDS member George Jessop, who was among attendees at the rally, said he hopes to become mayor someday, should the court end up taking a significant action like dissolving the town governments in Colorado City and Hildale. 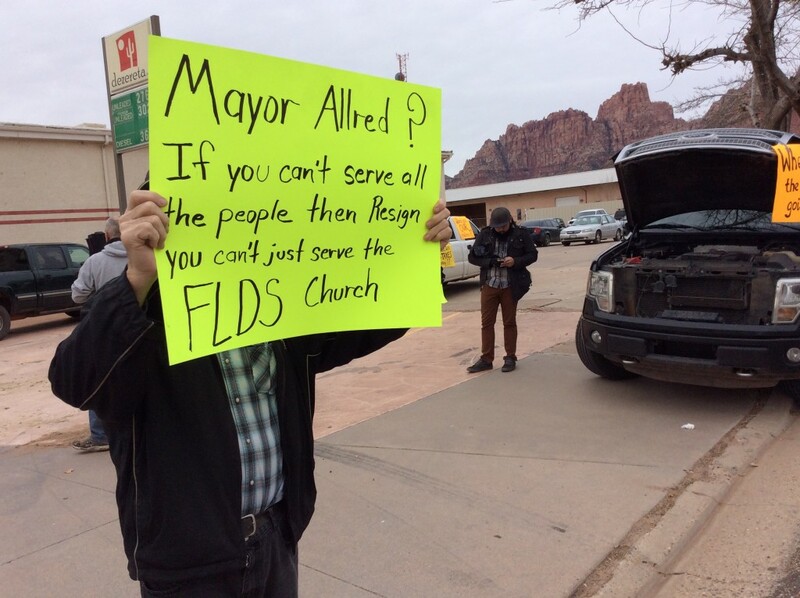 Currently, a non-FLDS person being elected as mayor is not likely to happen. 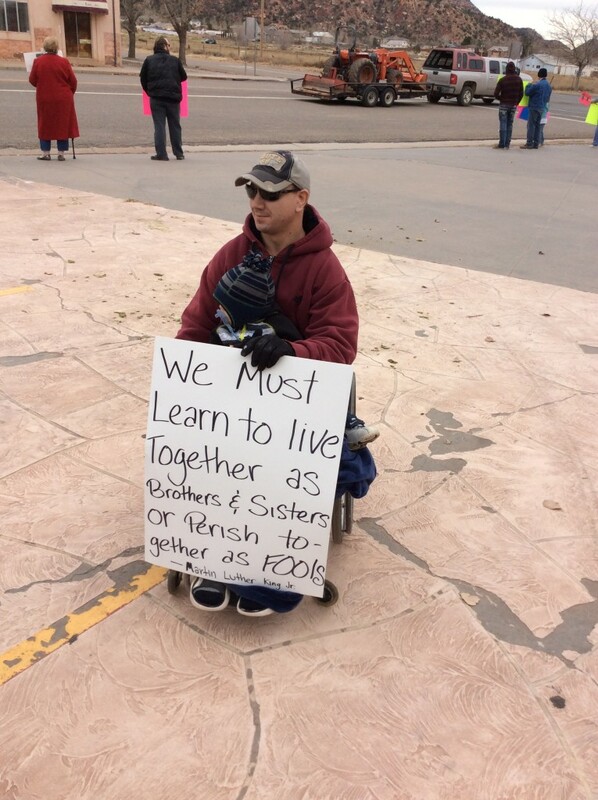 Musser, who has a debilitating illness called Milroy disease, is confined to a wheelchair and has already outlived the life expectancy given him by doctors, but he has nonetheless taken up the cause of organizing these rallies and trying to effect change in the community he loves. 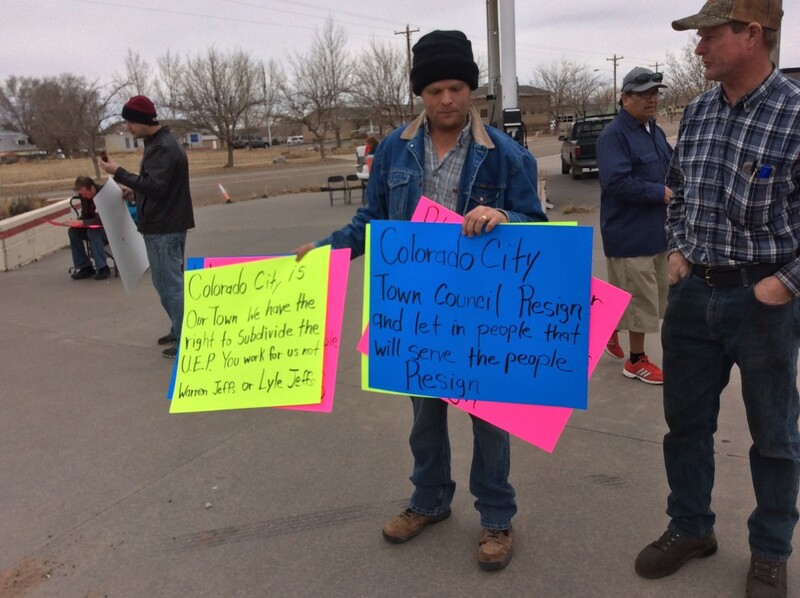 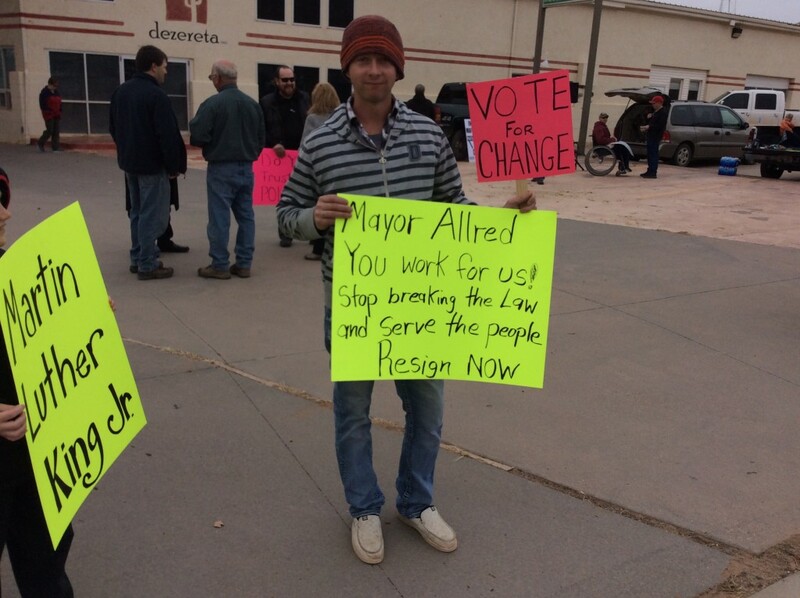 Musser said he and others want to continue holding rallies and doing all they can to promote positive change in Colorado City and Hildale. 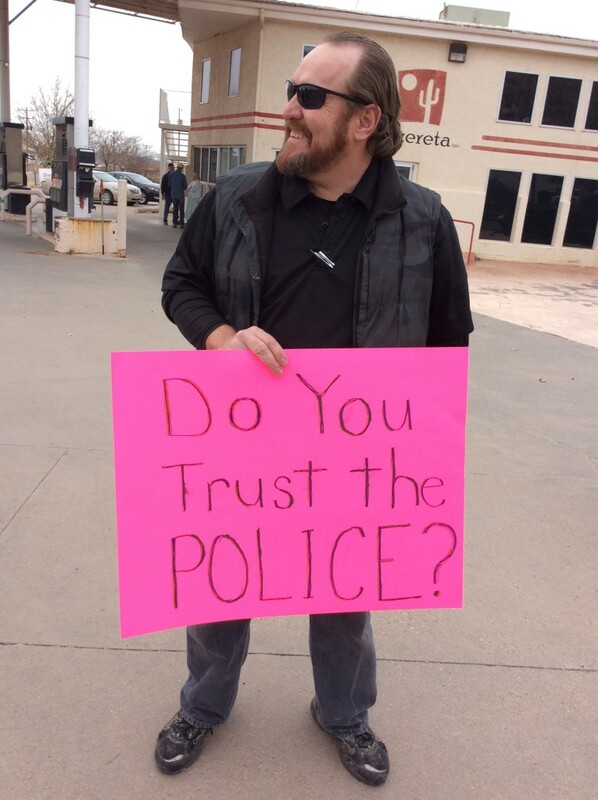 there is a dark sort of evil within the plig culture. 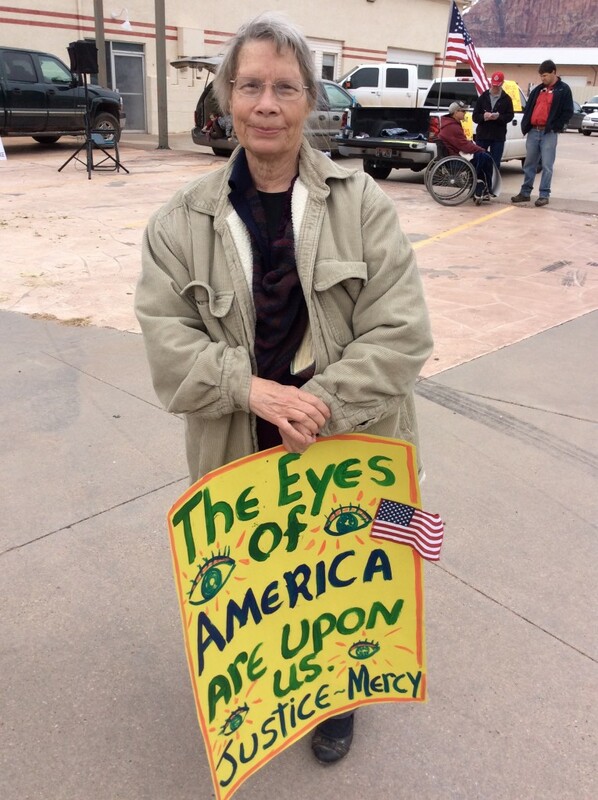 can we rid ourselves of these satanic influences?